LIFETIME WARRANTY ON THIS 30K, CLEAN CARFAX 2011 CHEVROLET COLORADO EXTRA CAB LT! PLEASE READ: THIS EXTRA CLEAN 2011 CHEVY COLORADO LT COMES WITH A LIFETIME ENGINE, TRANSMISSION, AND FULL POWER TRAIN WARRANTY AT ZERO COST TO YOU!! Talk about a brand new truck!! Look closely at this 2011 Chevy Colorado that just arrived here at Boyles Auto Sales. Adult driven and, powered by the proven 3.7L 5 Cylinder Vortec, so you can expect class leading power and mpg. Nicely equipped with AM/FM/CD Radio, Aluminum wheels, Power windows/locks/mirrors , and Painted to match ARE Fiberglass Camper Shell. This truck still smells brand new, and it drives like a dream. You could look all over and not find a truck this nice anywhere. Make the short drive to Boyles Auto Sales and see this Colorado for yourself. You will be impressed! We offer bank and credit union financing here at the dealership with Super Low rates so you can drive this Chevy Colorado Crew home today. 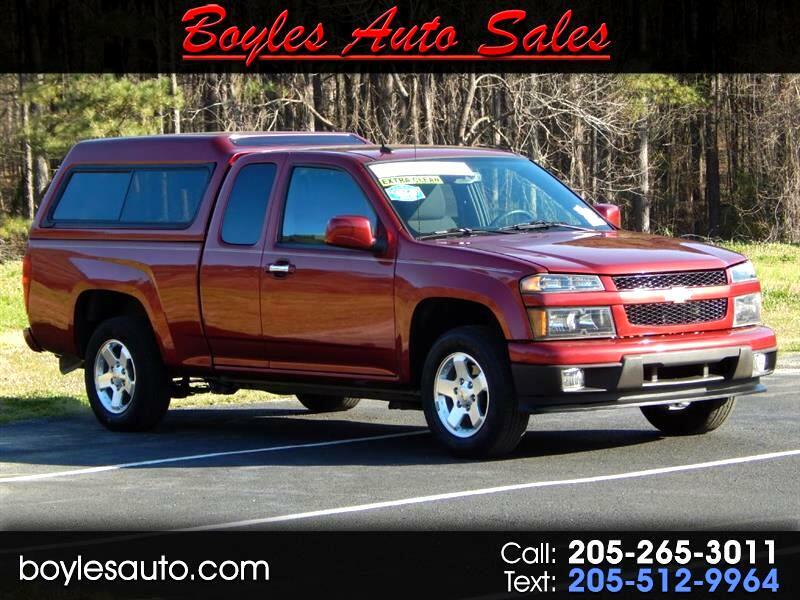 Also, for that added peace of mind that you will only find here at Boyles Auto Sales remember this: THIS LIKE NEW 20011 CHEVY COLORADO EXTRA CAB LT COMES WITH A LIFETIME ENGINE AND TRANSMISSION WARRANTY AT ZERO COST TO YOU!! NOT A 30, 60, OR 90 DAY WARRANTY...... A LIFETIME!! Call Randy at 205 269 3196, Scott or Tucker at 205 265 3011. Visit us online at boylesauto.com to fill out your credit application for faster approvals. Thank You for Looking.